This fun firefighter helmet will rescue you from the cold and get you noticed. 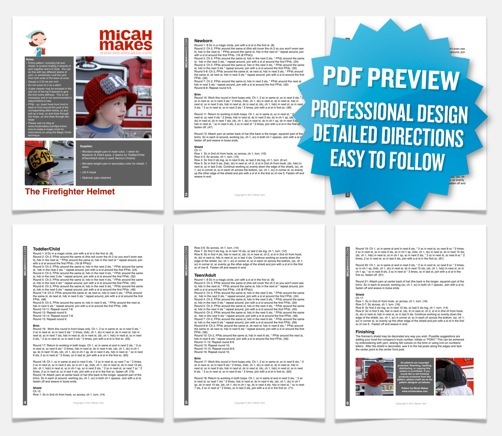 The design includes post texture, a shaped brim and a shield that can be personalized. Make one for all the firefighter fans you know with their favorite engine numbers. 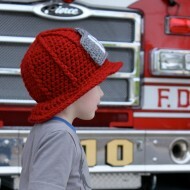 The firefighter helmet makes a great photo prop, costume or everyday hat. This hat is made with two strands of worsted weight yarn and contains four sizes. 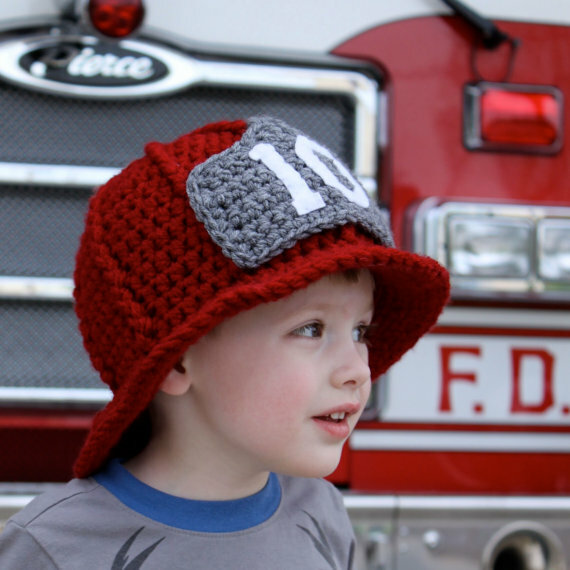 I Love the firefighter hat and thought I would love to make it for my great-grandson sinced his grandfather is a firefighter. 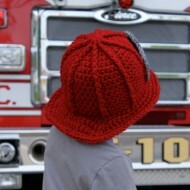 Then I was so disappointed to see that it was crocheted. I only knit. 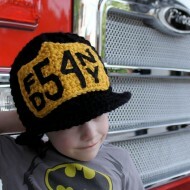 Any chance you have a pattern that is knitted? I have a book — From NeedlestoHook: Complete Guide to Converting Knit Patterns to Crochet which is very good. You can find it on Amazon. For other outlets to buy from, look it up on GetTextbooks.com under ISBN-10: 1-57367-124-X.